Insurance is one of the important aspects in modern life. There are many insurance service providers operating worldwide and offering various types of insurance policies for millions of customers. Today, mobile internet is revolutionized and the insurance service providers are not behind to make use of that and remain connected with their customers 24/7. Hence almost all the top insurance service providers have mobile app for their policy holders that gives flexibility to their customers, enabling them to file claims in a breeze. In terms of cost, apps save money for the insurance companies and also allow them to offer better service and experience to customers. 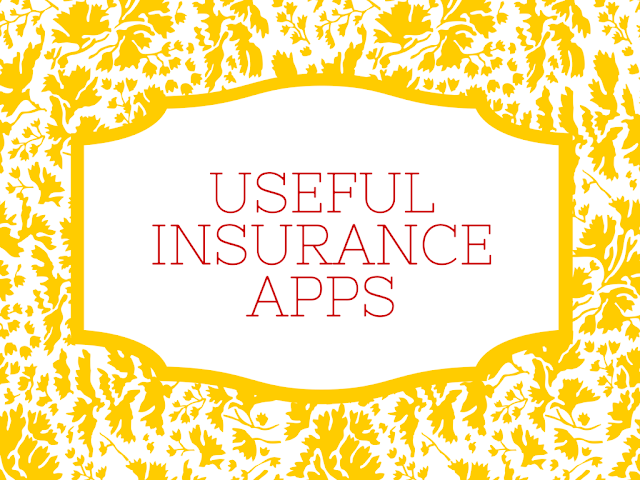 This article features some cool apps of some famous insurance companies. This app is available for Android devices, iPhone and iPad and is suggested by home insurance gurus. The app helps the home owners to keep a tab of their home inventory with ease. The manual tracking of home inventory is a very tedious task but this app makes this task easier. With the help of this app, users can take pictures of the belongings in home and save in a catalog according to the room or category. You can also note down the purchase price, date and take photos of the receipt as well and also add the item details or scan barcode. You can fetch the details as PDF or spreadsheet. This app is one of the most visible apps that are available in the insurance market. This is one of the best and has gained popularity because of its sleek and user-friendly features. You can also customize the look as per your mood. The available themes for this app are GEICO logo, Maxwell the Pig and the famous Gecko background. The GEICO app enables the users not only to manage their policies but also access the digital ID cards. This app is available for Android platform, iPhone, iPod touch and iPad. Lily, Insurance Voice Assistance, is available in the app for your queries as well. This app is available only for iPhone. This app is a gateway for the users to access progressive and contemporary art collections of the company. It can also help you know and understand your favorite artists who created the art. The company who created the app claims that the collection actually reflects its culture of innovation. The user-friendly app enables users to navigate each collection individually or create slide shows along with zoom-in features to see the details. You can create your own gallery and share your favorite artworks with friends. It is a fact that moving is a stressful task but with the help of the MoveTools™ app from State Farm, it becomes simpler and less stressful. This app helps users to virtually pack their stuffs in every room. With the help of this app the user can be organized with the recommended tasks. You can even create and generate packing labels that help you know what stuffs are there inside the packaging. This is a very user-friendly app for every organizer. The app is available for iPad. The app is a one-stop destination for creating a digital legacy of friends and family members of the user along with creating a virtual time capsule. This app helps you create the directories where you can store pictures, videos and documents and can use them in the future. The user can do this by assigning family members, friends and other loved ones as “designates”. This app is available not only for Android but also for iPhone, iPod Touch and iPad. The aim of developing the app is to drive familiarity and trust for the brand among customers of the company. Allstate designed this app basically keeping the bike riders in mind. This app is regarded as the most friendly and useful app for the extensive and passionate bike riders. With the help of this app, bike riders can actually track their riding route and also the time and mileage of the ride. This app helps the riders to plan out well for the trip, for instance how is the weather or road conditions. Moreover, it helps you gauge the amount of gas that needs to be filled in the bike tank. The company claims to improve the app to such an extent that the riders can actually keep track of the oil change and also flat tire instances.